It is important of course to choose the right cleaning method for you carpet when you decide to do it. 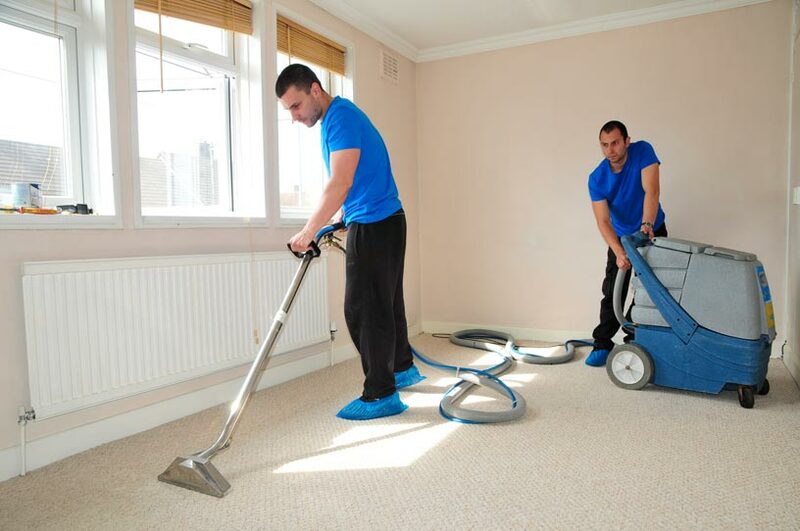 There are methods that you need to be careful with, because they can cause re-soiling and after all this will defeat the entire purpose of cleaning the carpet in the first place. And there are ways to clean carpet that can damage the carpet fibers which will lead to the need of changing your carpet really soon. That is why you need to comply with the manufacturer recommendations for the things that you can and can’t do to find out the best way to clean carpet. The idea of using the shampoo carpet cleaning method is to have a lot of foam, generated into the carpet that has to get dry after that. Then the resulting residue to attract the soil and all this will be vacuumed together on the next day. Because of the main idea under this type of cleaning solution, a carpet shampoo must contain a chemical that produces a lot of foam. Sodium lauryl is the most commonly used, which is the same that is used for our shampoos for washing the hair. And here comes the problem with this theory – when the shampoo gets dry it turns into a soft and sticky residue, which actually leads to re-soiling. At the same time this method could mislead you because the carpet appears brighter and cleaner at first. This is due to the high levels of brighteners into the shampoo. And another negative side is that this could lead to yellow appearance of the carpet after all so manufacturers do not encourage in using such type of shampoos. So after all you get poor cleaning results with this method, because the residue can not actually be rinsed and in no time rapid re-soiling will be a fact. This method is also commonly known as dry carpet cleaning, because you do not use water in it. A dry absorbent compound is used in this method. It contains solvent, degradent, and just a really small amount of water. So the cleaning product is sprinkled over the carpet and after a certain time it is collected mechanically. The absorbent cleaner could be both, polymers or organic. The theory here is similar – the compound would attract the soil in the carpet and absorb it so that it could be vacuumed later. And the carpet must be thoroughly cleaned with vacuum cleaner before and after the procedure. This could actually be tough for cleaning and when it is not vacuumed you will get white powder after some time on the shoes, your clothes, etc. This is a clear sign that you have used too much of it and it was not possible to vacuum it right. The advantage of this method is that it does not need this time for drying. This is because just a very small amount is used for preparing that carpet cleaner. And it is a good method for short carpets. Thick carpets, which are usually the residential carpets, this system is not so efficient for removing heavy soil, dirt and debris. It is strange that some people also call the method ‘dry cleaning’ which is some kind of misunderstanding because warm water is used in this method of cleaning. And sometimes for achieving a better result, even carbonated water or baking soda is used. he companies that use this method of cleaning have a ‘hidden tactics’ for convincing you to use it, talking into their advertisements that hot water will eventually destroy your carper. 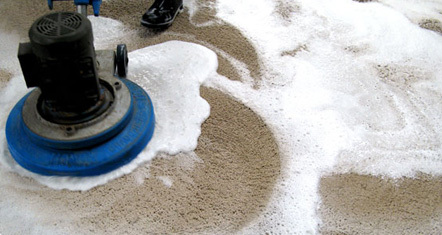 As an adaptation of hard floor spray buffering is the method known as bonnet carpet cleaning. For this method a rotary shampoo buffer and a thick round pad is used. The solution is spayed on the carpet and the pads are then soaked and lightly squeezed in the solution. After that the pads are placed under a spinning head with the main purpose to absorb the soil and the cleaner together from the carpet. There is no real extraction or rising with this method so that is why this method has the disadvantage of limited capability for removing the soil, dirt and debris. Keep in mind that after some time re-soiling occurs too. Another disadvantage of this type of cleaning method is that it could destroy the carpet fiber so that is why a lot of manufacturers do not recommend it to be used for their carpets. This is the cleaning process that is also known as deep cleaning and this is the cleaning method that actually most of the carpet manufacturers recommend. The other methods are not so efficient because they do not have the capability to remove soil deeply. Another negative side of the other methods is that there is too much degradent or carpet cleaning agents that are still in the carpet after cleaning because they can not be entirely collected. Besides the name deep carpet cleaning the method is also known as carpet steam cleaning because it uses fine hot water spray. 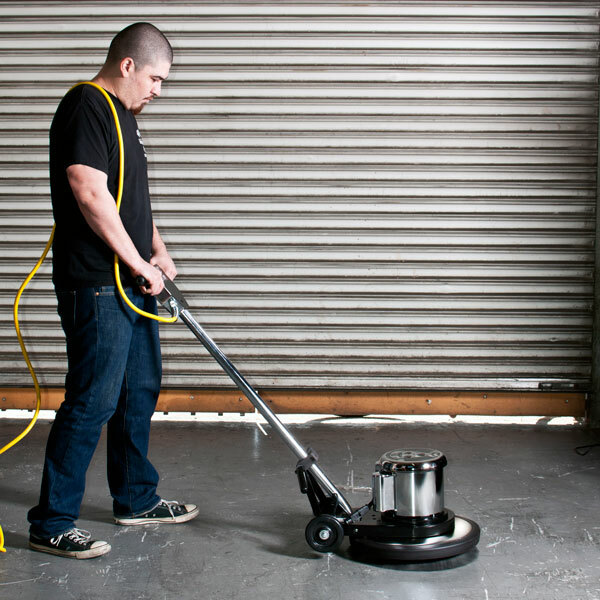 The powerful vacuuming with a holding tank collects the solution that has been sprayed on the carpet. And this could be done by a portable electric machine, floor tool entering or only with the hose. It also has the advantage of exhausting the humidity and the dirty air outside instead of keeping it around the house. This is important from a health standpoint. And the truck-mounted system usually does a much better job, more quickly and more powerful than the portable systems.